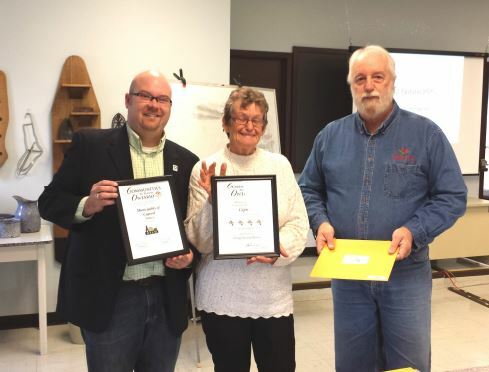 Capreol Honoured with Communities in Bloom Award On behalf of the Communities in Bloom committee for the town of Capreol, the Northern Ontario Railroad Museum is delighted to share that Capreol has had another successful showing in the provincial competition this summer. Capreol hosted two provincial judges in late July who spent two days touring the community. The town was evaluated on six major categories including Tidiness, Environmental Action, Heritage Conservation, Urban Forestry, Landscape and Floral Displays. Capreol achieved a 4 out of 5 bloom rating and captured a criteria award for Tidiness. The committee would like to thank the volunteers, park staff and sponsors who have been working tirelessly to continue to improve Capreol. The town is looking forward to entering again in 2016.